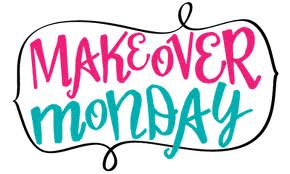 Today for my latest episode of “Makeover Monday – Baby Steps to Success” I wanted to talk about the broad topic of marketing, and specifically the two very different marketing strategies; targeted marketing and shotgun marketing. Both of these strategies are used successfully by real estate investors in their businesses, but it's important to understand that they are very different and you can expect different results with each one of them. Targeted marketing is all about one on one activities. It is specifically directed toward sellers and (hopefully) motivated sellers. Shotgun marketing on the other hand is directed toward the general population. These folks may or may not be interested in selling their house, and you have no way of knowing if they are motivated. It's truly a numbers game with the shotgun approach. Most successful real estate investors use a combination of several strategies in their real estate investing businesses. They also use a mix of both shotgun and targeted marketing. Let me know what type of success you have had with these different strategies.